NOTE: All prices listed are Mfg. Suggested Retail -- Contact your SkyAngle Dealer for current pricing, availability, and to place orders. Prices, specifications, materials, and colors, are subject to change without notice. 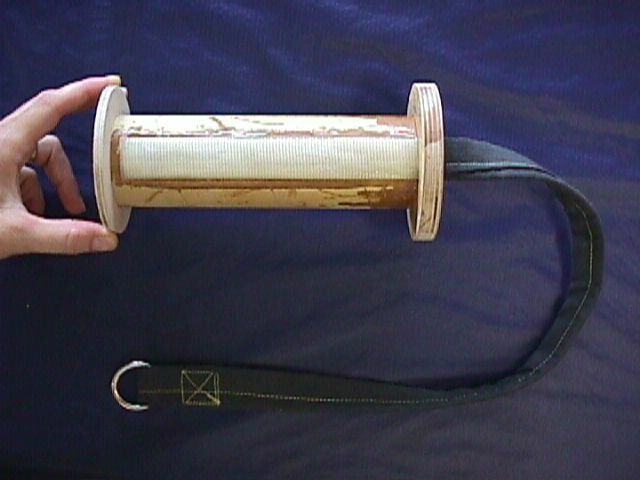 Based on a tried and true military/sport "free bag" design, the SkyAngle Deployment FreeBagTM attaches directly to the nose cone with a 1" tubular nylon (4,000 psi) tether. All stress points are reinforced with Kevlar® thread. Ingenious in its simplicity and ease-of use, this deployment sleeve completely envelopes the parachute in fireproof Aramid® fabric while insuring a reliable, orderly deployment! Complete illustrated instructions are included. *** Manufacturers Suggested Retail Price - prices are set by your dealer. Measurements are nominal. Large, XLarge and XXLarge sizes will fit SkyAngle CERT-3 chutes of the same size designation. 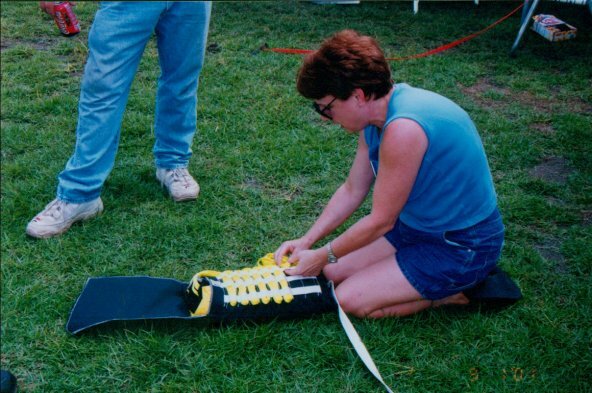 Pam Barton shows how to pack SkyAngle chute into a FreeBagTM. 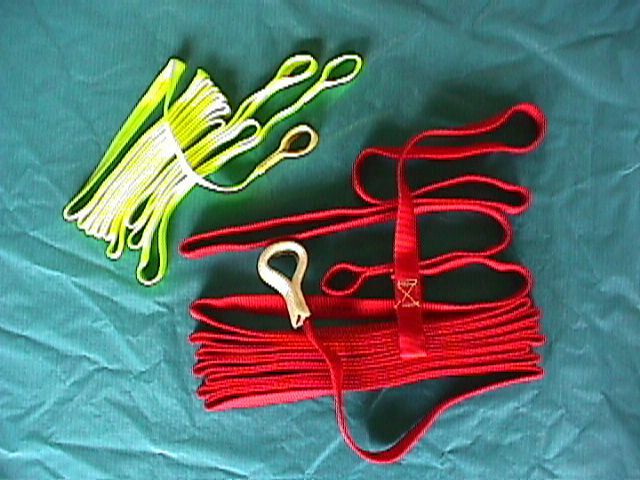 SkyAngle Streamers are fashioned from multicolored strips of our CERT-3™ balloon cloth. Cups are sewn at each end, and we provide a 1,000 lb. swivel attachment point at the center. 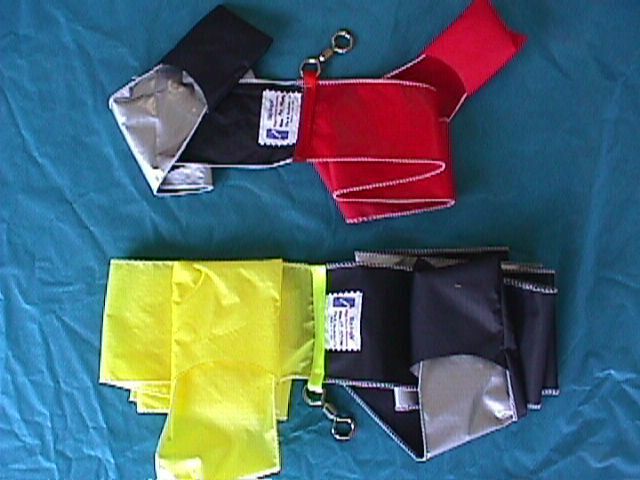 Perfect for small and light minimum diameter projects and as an added drag and tracking aid in parachute recovery. The same heavy-duty nickel plated brass swivels found on all SkyAngles can also be purchased separately to enhance other brands! 1/2" diameter eyelet for large line sizes. Accept no substitute, these are the strongest swivels around! Now every 'chute out there can become "swivel-ized"! 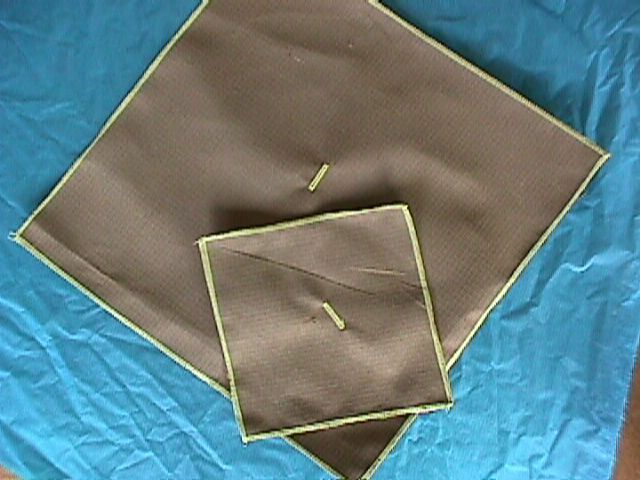 Our chute protectors are cut from flameproof Aramid cloth and the edges are serged with Kevlar® thread. We also feature a Kevlar-reinforced button hole. Available in two sizes for airframes up to 11.41". Color may vary from photo. U-bolt and delta link not included. Colors may vary from photo. 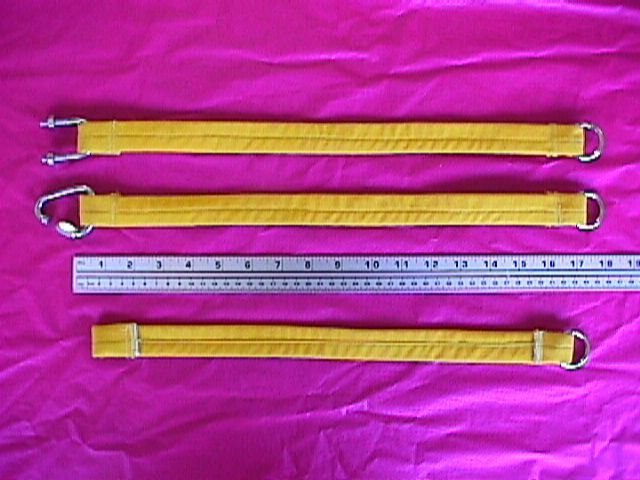 Bottom photo shows close-up of suggested orientation of harness strap, delta link, shock cord Aramid sleeve, and chute protector. Note how shock cord and chute will be completely insulated from ejection flame. 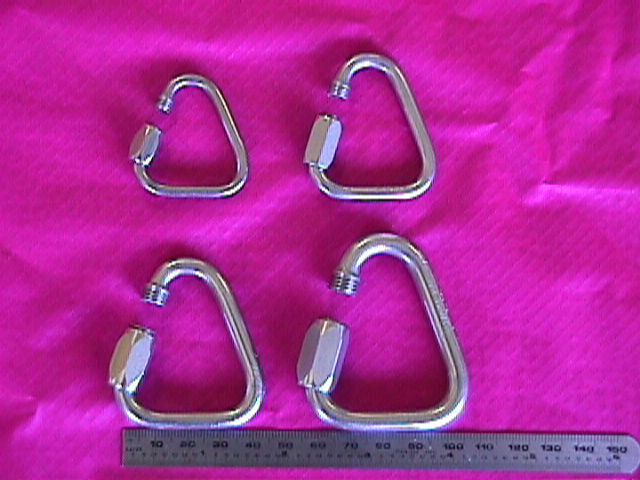 Imported from France, these unique and strong triangle-shaped quick links are excellent for any number of rocket recovery applications. All stainless steel construction. Particularly well-suited for use with our FreeBag, Shock Cord and Harness Strap products.